This Honeywell product was just what I was looking for, thanks for the head-up, it works a treat. The timer switches have a 40 watt minimum, so it’s possible the LEDs will not provide sufficient load for these switches. 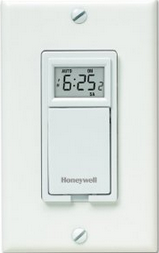 I bought Honeywell RPLS540A to replace one of the two 3 way switches in my living room. One of the 3-way switches has a dimmer option on it which I want to leave as it is. The second one is a regular 3-way switch which I want to replace with the programmable one. The wiring diagram is in their manual (https://customer.honeywell.com/resources/techlit/TechLitDocuments/69-0000s/69-2454EFS.pdf). The current regular 3-way switch has 4 wires going in (Green – Ground, 2 Reds and 1 Black). Now the question is how do I figure out which one is line, load and 3 way? I see that one of the screws (excluding ground) is black and the other two are bronze colored. From what I have read elsewhere, the black one is the COM – common wire. Is this the equivalent of LINE on the honeywell switch? 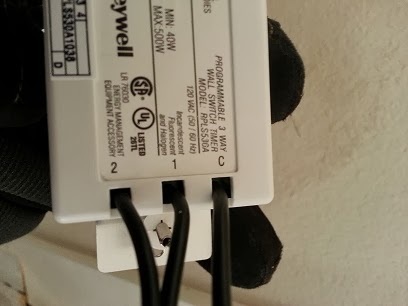 When I called the customer support, they mentioned that the honeywell switch has to be the primary/first switch in a two 3-way switch configuration. I am not sure what they mean by that. Any help would be really appreciated. Awesome article – “:I’m amazed at how many of these things I actually have. According to Honeywell, the RPLS530A requires a minimum 40 watt load in order for the battery to trickle charge. 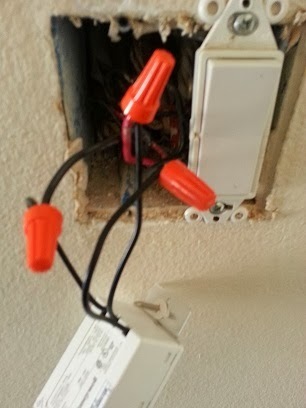 If one believes that, the use of this switch for a 3 way with a 15 watt load (2 7.5 watt LED bulbs) will not work long term. It will work for a while, then it will quit. 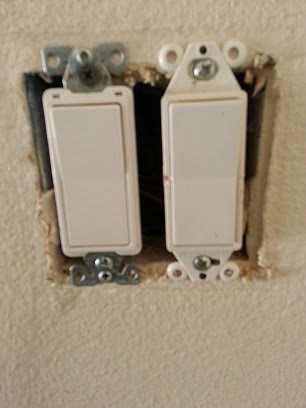 Why not tell us how to install the jumper wire on the other 3-way switch so that it will operate the lights when switched on and off. I connected the jumper cable on my other switch. 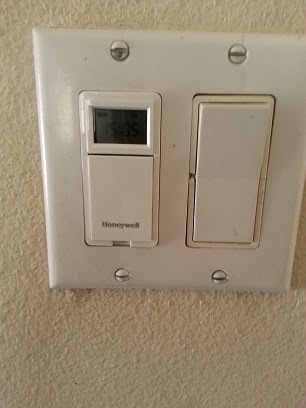 And the other switch seems to be by-passed now, what i mean by that is when I use honeywell timer switch and turn on the lights then the other switch can not turn off and vice versa. And I cannot use my switches without using the jumper cable. Which means I made my 3way configuration to single pole. 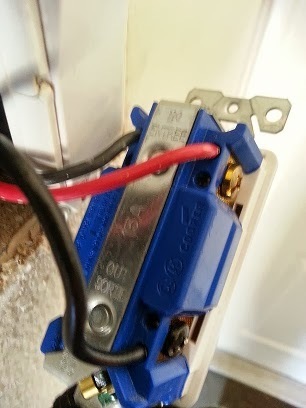 Is this what happens with this switch? Or am I doing something wrong? Please suggest. Can you please recommend a timer switch that will work with a low watt bulb?? stay tuned. 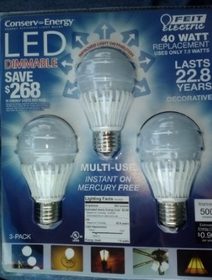 I have an updated post coming out with a new timer for low watt bulbs (led’s). I’ve changed out 6 so far and they work flawlessly. 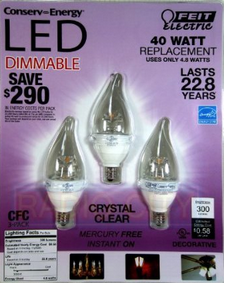 Timers shouldn’t impact whether you use CFL or LED bulbs. So, you should be able to continue to use the existing timer.